Dorothy M. Ritchie, age 89, residing in Mishawaka, Indiana passed away at 12:30 p.m. Sunday, February 3, 2019 at Sprenger Healthcare, Mishawaka. Dorothy was born on March 22, 1929 in Siler City, North Carolina to Louis and Laura (Brown) Maness. On April 14, 1962 in South Bend, Indiana Dorothy was married to Fred Ritchie, who preceded her in death. Dorothy is survived by her daughters, Carol A. (Michael) Riffle Miller of Mishawaka and Mary E. (Scott) Plasterer of Elkhart; daughter-in-law, Teresa Riffle of Mishawaka; son Eugene B. 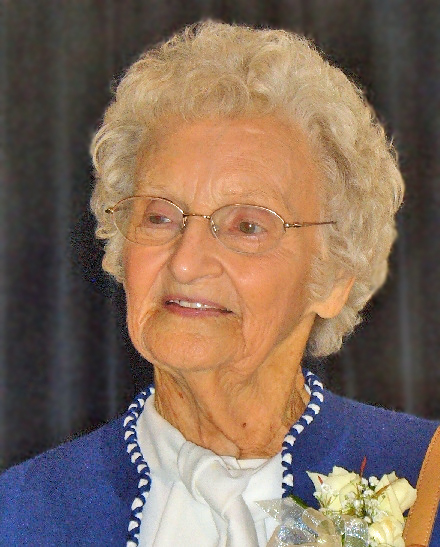 (Barb) Marley of North Carolina; seventeen grandchildren; forty-six great grandchildren; eighteen great-great grandchildren; and her sister, Della Margaret Farrell of Pittsboro, North Carolina. Dorothy was preceded in death by her son, Dan Riffle; three brothers; and three sisters. Dorothy was previously employed as a seamstress for Singer Sewing and for Koszegi Industries of South Bend. Funeral services will be held at 12:00 p.m. on Thursday, February 7, 2019 at Gospel Center Missionary Church, 930 S. 30th Street, South Bend, where friends may visit from 10:00 am until time of services. Pastor Jon Ranous will officiate. Burial will follow in St. Joseph Valley Memorial Park, Granger, IN.